One novel approach to making this subject more readily accessible, and especially to those who are not yet old enough to be affected directly, has been provided by author and pilot, Antony J. Stanton. His day job (or more usually his night job) is as a longhaul commercial pilot. Recently though he has been eschewing his flight controls in favour of a word processor. Five years ago Stanton’s mother died of early onset dementia, and he has channelled his own tragic experiences into a post-apocalyptic trilogy that has dementia at its very heart, or perhaps at its very head. Dementia may seem quite an incompatible subject with a post-apocalyptic thriller featuring the end of the world and rampaging zombies, but for Stanton the link was obvious. And this seemed to be a great way to subtly raise awareness of an illness that will affect, directly or indirectly, a vast percentage of the population. The books start with a scientist struggling to come to terms with his own mother’s dementia, whilst trying to create a cure for the disease. A drug he creates goes wrong and turns sufferers into crazed, wrathful lunatics, not dissimilar to the zombies that we know from so many TV shows. What is unique and proving to be popular about the story is largely the realistic genesis for the zombies based as closely as possible on medical fact and Stanton’s first-hand experience. The first book in the trilogy, “Once Bitten, Twice Die” quickly rose to #3 bestseller on Amazon’s chart for genre with a host of five-star reviews. Most excitingly, Stanton now faces the prospect that the books are set to become adapted for the screen. A Hollywood producer wants to turn the books into a film/TV franchise, with shooting set to start as early as next year. This would bring the dementia issue not only into our libraries and book shelves, but also into our living rooms and television sets. 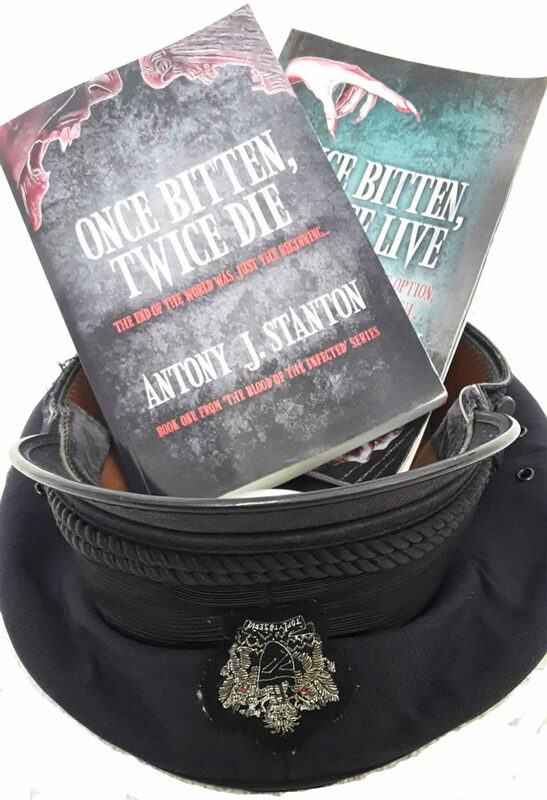 During this World Alzheimer’s Month, Stanton is donating all profits from book sales to a dementia charity and downloads of book one will be free. To download book one just visit Smash Books and use code ZM59E by the 31st October 2017.